How do I filter shifts? You can filter shift information on the schedule page. 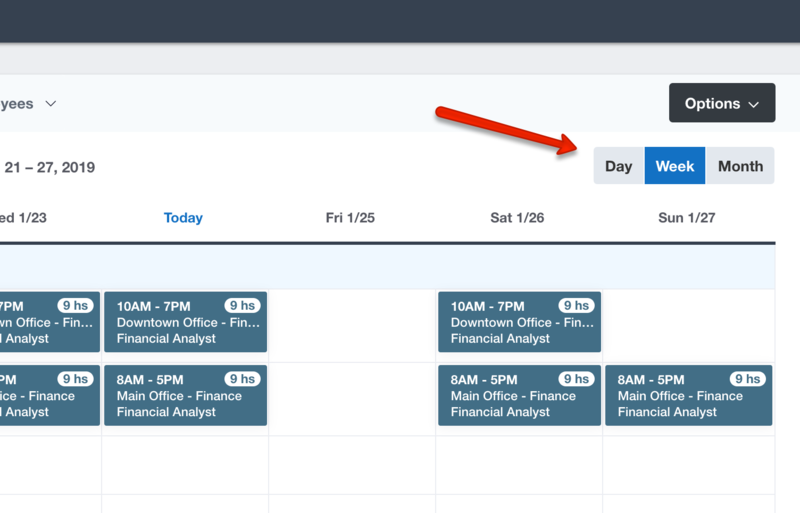 On the schedule page you have the ability to filter by Location, Department Code, Positions, PTO, and Employees. Click the dropdown box for the filter you'd like to choose and make your selection. You can use more than one filter if needed. You can also filter your view by selecting either Day, Week or Month located on the top right hand corner of the schedule.